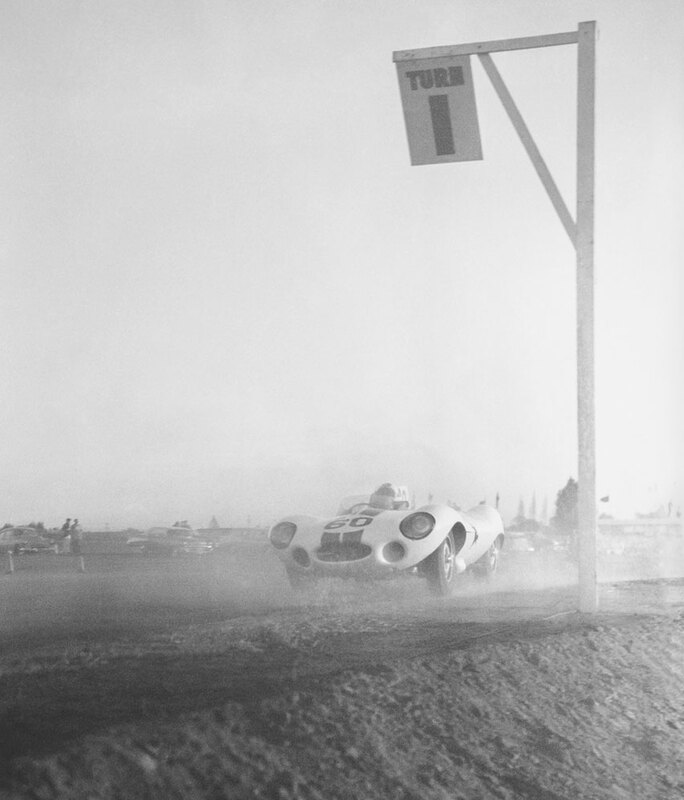 This is one of the finest compositions within the book: Walt Hansgen hurls his Cunningham D-Type through the dusty late afternoon gloom in November 1957 at Riverside. We see spectators casually viewing from the infield, the hot afternoon breeze blowing against the turn 1 sign and Hansgen drifting the D-Type precisely on line. It’s an epic, perfectly composed, shot that has never been published. 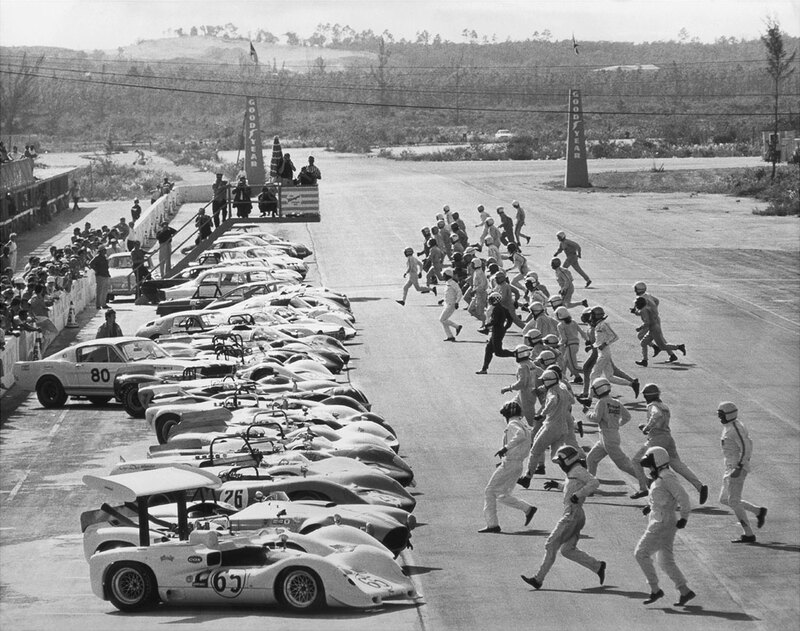 LeMans starts were never confined to LeMans alone as this superb shot from the start of the 1966 edition of the Nassau Speed Week illustrates. The partying is over and it’s time for some serious racing. This epic shot freezes each driver’s intense anticipation of the battle ahead. Note the vast diversity of cars, the lack of sponsorship logos and the sea of plain helmets. It was all about the racing. Ferrari importer John von Neumann organized some glamour shots of the then new 1957 500TRC. We found original prints of the entire shoot in the collection! We chose this shot because it beautifully frames Richie Ginther in the TRC against a new 250GT Boano Coupe in the background. This particular TRC (#0662 MDTR) was sold for $4.5m at Gooding’s 2012 Monterey Auction. It’s a gorgeous period shot. Roy, I just received the MotorBinder and it was non-stop reading for me! Well worth the wait. The pictures and the captions are excellent and accurate. 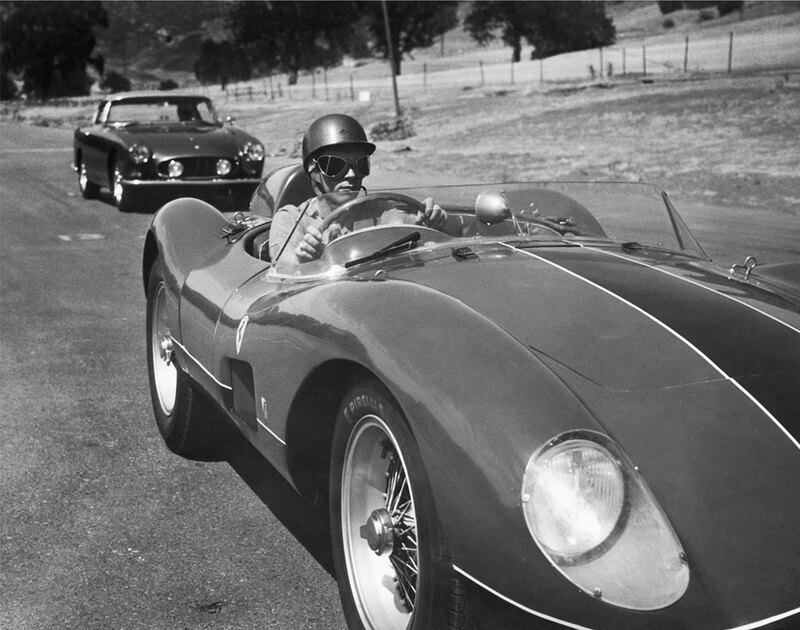 California was the meca of all things automotive during these years, and the pictures capture the excitement perfectly! Thanks very much. We’ve very excited that the books are now arriving. Thanks for the support and please spread the word about the book! The photo of Moss in the Times GP 1959 caught my eye for an interesting reason. I was so nervous trying to get a photo of him at that race, I wound up with nothing but double exposures. True hero worship. Roy, I met your father in 1964 when I purchased 250GT SWB S/N 2617 from him for $7,000. At the time he had 250GTO S/N 5571 for sale at $10,500. I spent all the spare money that I had (and then some…) on 2617, so couldn’t buy it also, Darn! I want to purchase a copy of the book, but I want you to autograph it for me. Tell me how to arrange that. I also have a lengthly set of notes that I prepared on the car when I finally sold it in 1997. I might be of interest to you to have a copy. Send me your USPS address if you are interested.